Yesterday, we reported how an easter egg in The Division 2 may have teased that the next Assassin's Creed game would be about Vikings, but interestingly, Kotaku's reporting of the same story indicates, explicitly, that the third instalment of Ubisoft's other big franchise, Watch Dogs, will be set in London. 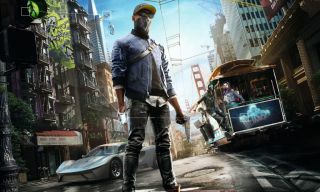 This has been rumoured for some time, of course—we said as much when Ubisoft confirmed details of its upcoming E3 conference—plus we know a patch that revised the ending of Watch Dogs 2 included references to Brixton, a location in the UK capital. Kotaku is now reporting the rumour as true, however, news that has been picked up by a variety of fans and communities, including at ResetEra. The most interesting aspect of this will be how it affects Watch Dogs' combat, particularly firearms. Whilst it's certainly not impossible to get ahold of a gun in the UK, it's not easy, either, so quite how—or even if—this'll be taken into account remains to be seen. It's been almost three years since we explored San Francisco with Marcus in Watch Dogs 2. In PC Gamer's Watch Dog 2 review, we said "silly, strange things happen often, but only if you ignore the missions and mess around in the beautifully realized open world. That’s where Watch Dogs 2’s true enjoyment lies—not in its cheeky Hot Topic hacktivism story and frustrating, bland stealth scenarios, but in the nonsense you can pull off in a big sandbox with wacky toys and fast cars".